Choose the Hot Games you want to play from the list below. You can sort the games alphabetically, by date or by rating. Almost all of our Hot Games are playable on full screen. Enjoy! Drive the big rig along the road and park it into spots. Don't forget to correct your steering. 18 Wheeler Challenge is a fun semi truck driving game. Find an available non-handicapped parking space and park your car before the clock runs out. Don't hit shopping carts or vehicles. Your aim is to get the soccer ball in the goal in every level without taking too many shots. Every level has a par (shot limit) which you must not exceed. The lower the total score the better. Play this challenging and addictive puzzle sudoku game with difficulty levels ranging from easy to very hard! This is the original Japanese sudoku game which has taken the entire world by storm. Take control of a UFO and try to capture sheep in your tractor beam. You can do that by positioning your UFO above a sheep and quick press spacebar button to open the tractor beam. Then, point your UFO above the teleporter and again press the spacebar to drop the sheep. Abduct the humans and take them from Earth to colonize another planet while avoiding enemy attack, jets and helicopters. 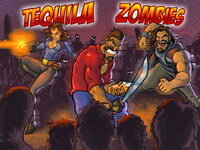 The game consists of building towers, managing the resources needed by those towers (and the location of those resources), collecting more resources from cleared out buildings, and using resources to expand and destroy zombies. Defeat the zombies while managing multiple resources in this hybrid RTS game. Try a random map after the campaign. Who doesn't love guns and cartoon gore !?! Zombie Apocalypse: Left 4 dead is a great top-down shooter with over 25 weapons and 50 levels. It has everything you love about survival shooters. These zombies are faster and more aggro than usual. Choose your hero and shoot down those brain dead fools. Work your way through fleets of zombies, earn cash to purchase new weapons and upgrades between levels. Feed the King is a fun and simple, yet very addicting game. Your goal is to stack cakes as high as you can while avoiding obstacles! Once you've reached as high as you can go, it's time to control the king and eat as many of the stacked cakes as possible! The game has several features such as combos, items & powerups, upgrades, achievements, and three different gameplay modes! Battle 20 of the World's greatest cricket players as you challenge them head on is this amazing 3d Cricket game. It's the World Twenty 20 cricket competition! 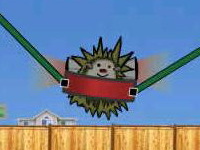 Launch your hedgehog into space in as few days as possible. Earn money by bouncing off platforms and hitting coins to buy upgrades. The higher and longer you go the more cash bonus you'll get! Use the arrow keys to fire your rockets to move left and right, and upgrade so you can get booster rockets to shoot even higher. 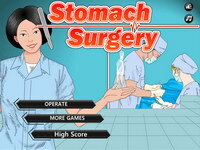 An extremely addictive chain reaction game with deep upgrade system and a lot of achievements. 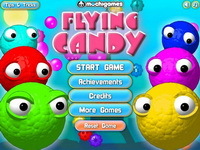 Flying Candy is sequel to highest rated game Icy Gifts. More bombs, more chains, more fun! As Manchester Airport's ground traffic controler, it's your job to guide the incoming traffic to the airport's car parks. Play as Bolt as you collect coins and fight villains on the way to save your friend. The Disney movie online game! Shoot the enemies as you move forward. Watch out for grenades and enemies low to the ground. A honest cop whose family have been killed by a gang of mobsters who he had put behind bars. Running Back is an offensive player who specializes in carrying the ball. 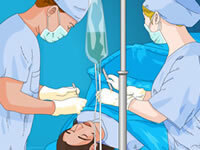 Try to get extra score in the game. A nice American football to play online for free. Compete for the best times and unlock new levels as you complete each track! Throw on a helmet and get racing in this fast paced motorcycle game! Complete every level and beat the record scores. Try out your monster truck skills online for free. Bomb and blast your enemies to smithereens! Very nice bomberman clone. Only a dragon can take that despicable wizard down! Save Drake's village and take on the mighty powers of a dragon! 20 levels of fun physics puzzles and action, colorful graphics, cool sounds and addictive gameplay will no doubt catch You. Drive all blobs to the bucket avoiding obstacles. Match your wits against the computer or against a friend. You can only move the piece one space forward diagonary. You cannot move the pieces backward, until you achieve a King. War and hate saturates the realm. The vicious hordes of kialgerwrath crash against the walls of Hatehreia. You are the one of the few clerics and the realm's last. Desperate attempt to ward off the forces of Kialgerwarth. Savior - Tower Defense Game. The goal of the game is to blow up all the zombies in certain world region. Each bomb blasts automatically after the determined period of time and has its own damage range. In order to blast a zombie you have to place the clock working bombs of 5 types. This game is about getting high scores. Anyone can win a race, but can you do it in style? Race round tracks, defeating opponents to unlock further tracks. But that’s just the beginning. Great skiddy flash driving game. Each puzzle is solved like a regular Sudoku with an additional twist according to the variant rules. Enhance your Sudoku skills with 6 different variants, including Classic, Diagonal, Irregular, OddEven, Chain and Multi. Explore the freeform world of 45 various areas in this RPG-Shooter hybrid. Wooly has taken your precious bowler cap and now you are on a romp to go get it back! Complete sidequests to get power-ups, extra firepower, and experience! The fight is on! Along the way you’ll find off 20 levels, full of monsters that will relentlessly attack you. Kill mad cats as they attempt to prevent you from reaching their castle fortress. Your mission in this futuristic shooting game is to lead your corporation to victory as you fight for control over a limited supply of infinite power crystals. The city has been take over by a hostile army. Control the home guard to destroy the baddies and reclaim the streets. A special tank defense-strategy game with multiupgrades and achievements. Do not let many tanks pass through your defenses or you will lose the war. Line up soccer balls, footballs, baseball, volleyballs and other sports objects into combos. Slingshot your missiles around planets to destroy your enemy and utilize the 10 different weapons and utilities available. Your mission in this space based artillery game is to battle for control of the galaxy. Upgrade your team as you earn money by improving your unit’s health and accuracy or by buying extra units for your team.